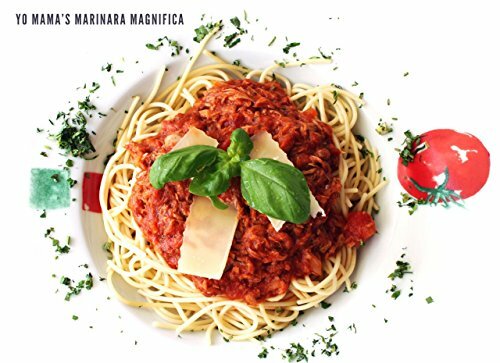 Marinara Magnifica is truly the best-tasting, most authentic Marinara sauce on the market! 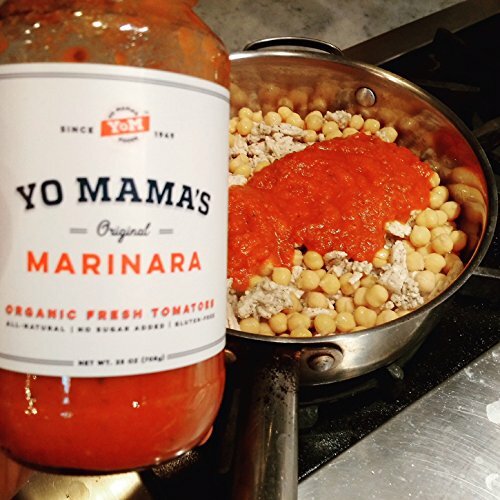 Just as Grandma made it 75 years ago, our award-winning Marinara sauce is made from whole non-GMO vine-ripened tomatoes, not concentrates like the leading brands. We also rely on only the freshest garlic, oregano, thyme, olive oil, onions, basil, and organic chicken stock. You simply won’t find a fresher, more incredible gourmet sauce anywhere! 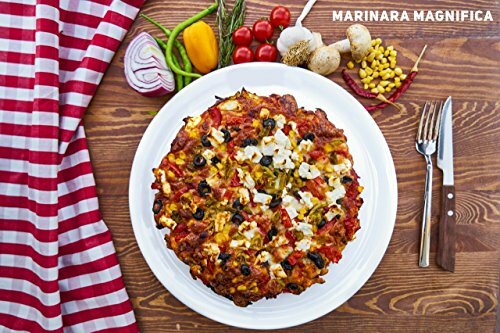 Try the Marinara that Beat the Leading Premium Brands. In a blind taste test, Marinara Magnifica beat the four leading natural/premium pasta sauce brands for flavor, texture, and appearance. 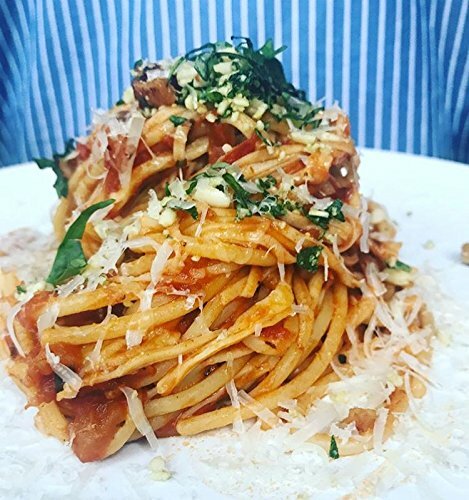 Our sauce really is the very best premium natural pasta sauce you can buy! A Versatile Sauce for Every Occasion. Enjoy our incredible Italian sauce on chicken, pasta, ziti, vegetables, lasagna, or pizza to enjoy an authentic Italian experience of your own! Indulge yourself guilt-free with the freshest, highest quality ingredients you will find. 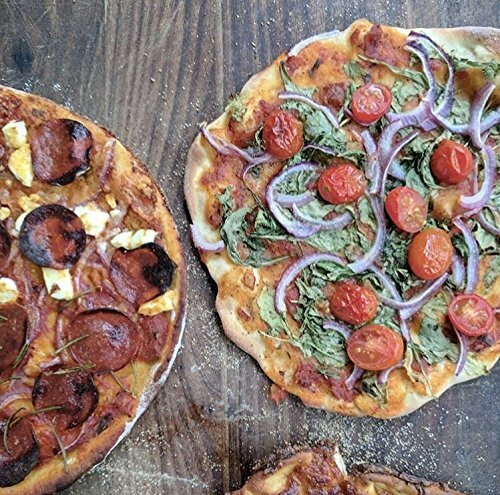 Made from Fresh nono-GMO Vine-Ripened Tomatoes, Crushed non-GMO Tomato, Sweet Onion, Organic Chicken Broth, Tomato Paste, Red Wine Vinegar, Fresh Garlic, White Cooking Wine, Extra Virgin Olive Oil, Thyme, Oregano, Spices, Sea Salt. Just like your mama’s, because it is! 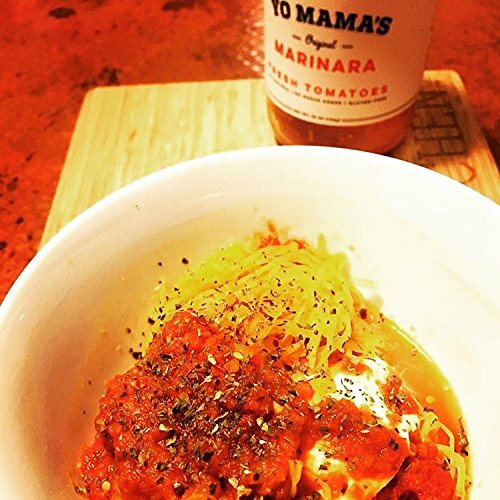 Add Yo Mama’s Marinara Magnifica to your CART NOW to impress your family and friends with a sauce like no other! Pair with our incredible Balsamic to round out a truly Italian family experience! WELCOME TO THE BEST TASTING PREMIUM PASTA SAUCE ON THE PLANET! Our Award-Winning old-world Italian recipe hails directly from Grandma’s real homemade recipe. You simply will not find a better tasting Marinara! INDULGE YOURSELF GUILT-FREE. 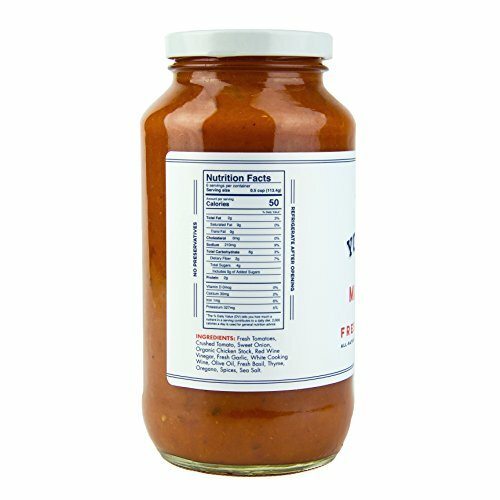 Our fresh tomato sauce is Gluten-Free, Preservative-Free, Low-Glycemic, and has No Sugar Added. Enjoy a truly authentic Italian Pasta Sauce made with Whole, Fresh Non-GMO Tomatoes, Fresh Garlic, Fresh Basil and real Organic Chicken Stock. Our amazing sauce is low carb and compatible with the Paleo, Whole 30 and Keto lifestyles! 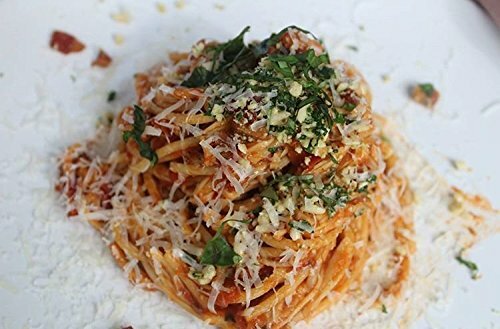 ENJOY A TRULY VERSATILE MARINARA THAT FITS EVERY OCCASION. Use our gourmet sauce on your favorite pasta, on cooked veggies, with your favorite lasagna recipe, or to top your homemade pizza. TRY THE SAUCE THAT BEAT THE LEADING BRANDS! 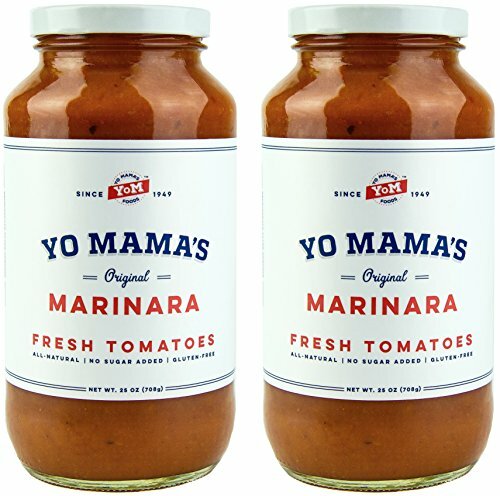 In a blind taste-test, Yo’ Mama’s Gourmet Marinara Magnifica topped all three of the leading premium brands. We’re so confident that you’ll love it, return any unused portion, and we’ll give you a full refund! ADD TO CART NOW for a truly incredible, authentic culinary experience, and keep an eye out for Yo’ Mama’s Foods Bold Balsamic and Zesty Sesame Dressings!